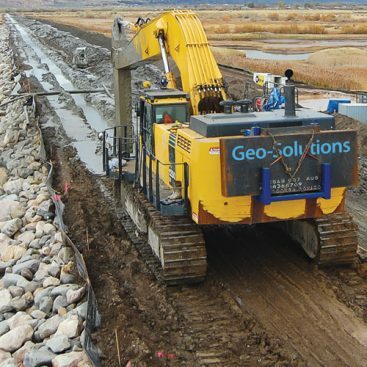 Geo-Solutions was contracted to modify a levee owned by the Town of East Hartford, Connecticut under the purview of the United States Army Corps of Engineers District Baltimore. This project consisted of the installation of a 3,700-foot, soil-bentonite slurry wall constructed to depths exceeding 65 feet. The project was located along the banks of the Connecticut River within the flood plain and served as flood protection for the town and its residents. 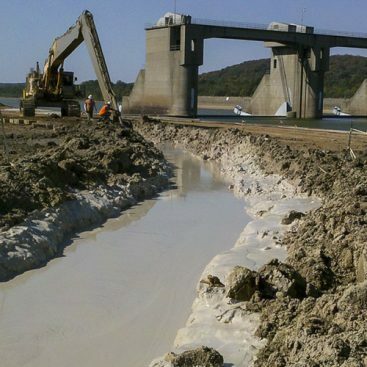 The wall extended through the highly permeable sand construction of the existing levee and served to reduce the installation permeability to 5×10-7 centimeters per second or better. 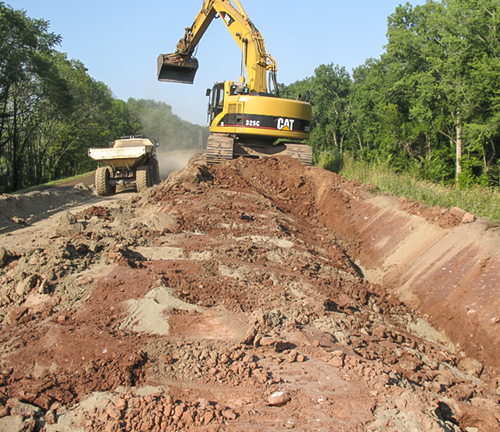 Work was completed utilizing results from Geo-Solutions’ in-house bench scale treatability study and subsequent mix design. 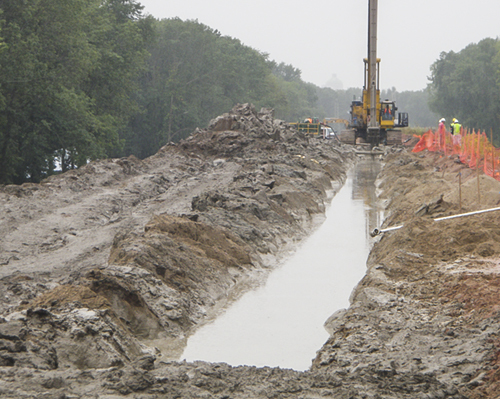 The slurry wall finished at over 240,000 vertical square feet with a maximum depth of 67 feet. The wall was excavated using a Komatsu PC1250-LC excavator with Geo-Solutions’ long reach boom and stick. Geo-Solutions met or exceeded the strict quality control and design standards set by the Town of East Hartford and their design engineers, GEI, Incorporated and the USACE. The project was completed adjacent to a sensitive wetland area and in close proximity to a residential neighborhood without incident or intrusion upon the residents.